Talk is cheap, isn’t it? But people will always talk, and you will have to listen, especially if you own an often discussed brand. We can’t make everybody say only good things about you, but we can help you track your brand online mentions more easily and conveniently. 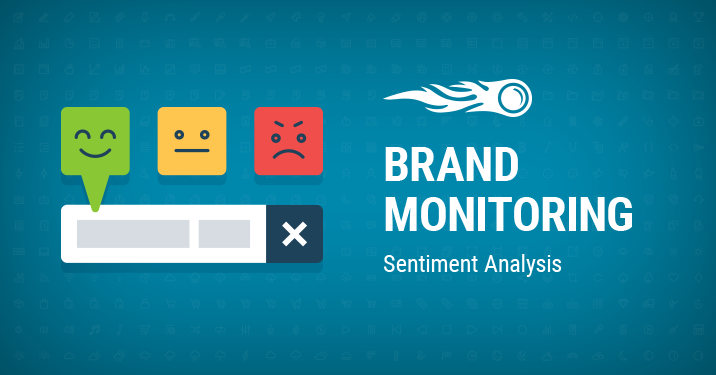 Meet a new feature in Brand Monitoring: Sentiment Analysis. All new mentions are now classified by sentiment – positive, negative or neutral. Old mentions are marked as ‘neutral’ by default. There’s an option to change sentiments manually; for instance, if you think a mention is marked incorrectly, or you’d like to re-categorize your old ‘neutral’ mentions. Moreover, by doing this, you will help us improve our marking algorithm. You can also find Filter by sentiment in the Filters section. Please note: the Sentiment feature only analyzes texts in English so far. We will add other languages very soon. Since both the Sentiment feature and the tool itself are in beta, we can’t wait to receive your feedback. Feel free to hit us up with an email at [email protected]. 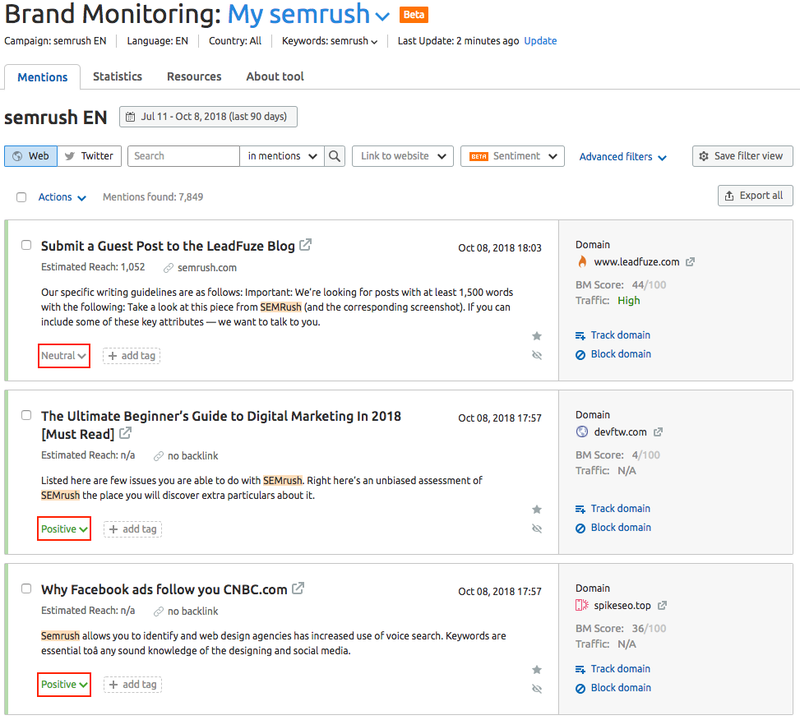 Thanks for making SEMrush better!